Just realized the cover is lying, we all know the shoes are silver. Weird. 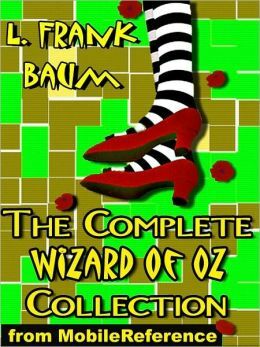 complete Oz” edition) was the basis for the 1939 movie that first really excited me about movies as a kid. It was visually amazing, funny, scary, exciting and heartwarming. I was really interested to see how much of that which had so drawn me in had come from the source material. Turns out, not much. This is basically the entire book: Problem, solution, move on. But, unlike other stories, in which that also happens (duh, it’s how stories work), it happens here usually with in the same paragraph. It’s so frustrating as, even while things are happening, nothing is happening. Literally as soon as any problem is defined the solution is discovered, enacted and succeeded in the next few sentences. Or, as also occurs a few times, a problem is presented, a solution discussed and that solution is enacted and fails leaving them back at square one. Again, within 1 paragraph. Not to worry though, the proper solution will present itself moments later. It’s as if the author is trying to help your stress level by removing all stakes instantly. The story is basically identical to the movie we’re all familiar with, there are things that we’re left out and compressed for time but nothing that fundamentally changes the story. In fact, I have to applaud the filmmakers for streamlining this meandering story into something so interesting. And visual. The book is pretty sparse on descriptions- with the exception of the Emerald City being described in incredible detail as…green. Like, literally everything is green. The things that are green are listed, and they are everything in the city. Oh wow is it a trial. This book reads a lot like a parent reading a story to their child at bedtime. It’s awkward, stilted, rambling, and at times feels like it’s stalling for time. I can’t figure out how this book became as classic as it has become let alone how it has 13 sequels. The reviews when it came out in 1900 were positive and as a product of its time it’s lack of sophistication is understandable- I wasn’t expecting layered storytelling aimed at children at the turn of the century. I was however expecting far more than what I got. I honestly don’t think I’ll be reading the rest of the Oz books, and to be perfectly honest my feelings on the movie (as well as the deeply messed up 1985 “follow-up”) have become slightly soured. *NOTE* You might ask yourself, if I hated it so damn much why not just give it an F? Easy, the world Baum created has been the backdrop for some wonderful other stories. Besides, I’m assuming, the rest of his books Oz (which I have no desire to read but there’s 13 of them so there has to be something to them) there’s also Gregory Maguire’s Wicked series and even 1978’s The Wiz. So I gave him half a point for the idea.